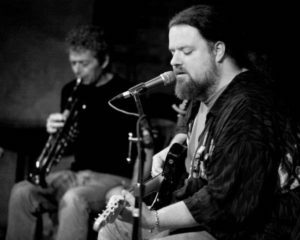 ALFIE SMITH – is a true modern day Blues Man, blending hard-edged Rock and Roll, Gospel, Folk and Jazz with Pure Primal Blues to create his own unique sound. He is adept at many instruments including 7 string slide guitar, banjo, guitar, 12 string and lap steel. Alfie has been a featured performer at Mariposa, Festival of Friends, Home County, Eaglewood, Mill Race, Harbourfront Blues Festival, Niagara Blues Festival & others. He was nominated for Best Blues Album at the Hamilton Music Awards and also Best Guitarist. He was also selected to represent the Toronto Blues Society at the Blues International Challenge in Memphis. Alfie just released his 7th album, a collaboration with slide guitarist Nicole Christian, called “Come On In My Kitchen”. It is available online and at all live shows. “He purrs like a kitten slumbering in a blanket or roars like a lion defending a carcass.” Robert Reid, The Record.